" id="mailmunch-script" data-mailmunch-site-id="471604" async="async">Dr. Caron Glickman decided to become a dentist when she was just nine years old, and never wavered. Even then, she knew that her passionate interest in science, the joy she found in helping people, and the deep affection she felt for the late Dr. Thompson Lewis, her own dentist, were all leading her toward a career in dentistry. Dr. Glickman attended Mills College in Oakland, California, and majored in biochemistry. 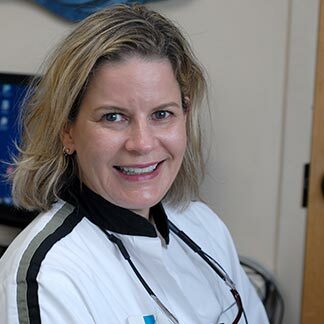 Ever since her graduation from the University of Washington Dental School in 1988, she has been trained in the care of medically compromised dental patients and has taught at the University of Washington. Dr. Glickman began her career working in nursing homes, and has had her own practice in Duvall since 1992. In the mid-90s, Dr. Glickman started her advanced training in cosmetic dentistry and microscope-modulated, anti-microbial, conservative periodontal therapy. This passion has helped hundreds of patients develop the smiles they have always dreamed for, cured or helped control their periodontal disease, and saved their teeth and their lives. More recently, she has focused her advanced training with the American Academy of Facial Esthetics on treating patients with facial and TMJ pain, and aesthetically with Botox, dermal fillers, and other products. She is a part-time trainer with the AAFE. Attractive smiles and more youthful-looking faces help build confidence and send the message that the wearer is ready to “take on the world” and “live life to its fullest” to everyone who sees them. Curing or controlling periodontal disease lowers one’s risk of heart attack, stroke, and complications from diabetes, all of which can add years to your life! Dr. Glickman takes great pride in helping her patients maximize their oral health and get the smiles they seek. She treats teens and adults, and she enjoys working personally with her patients to customize their oral health plans. Dr. Glickman lives part of the time in Duvall and part time in Calgary, Alberta with her husband Mark. They have four grown children and enjoy family time, traveling, downhill skiing, hiking, and reading great books.